I’ve been doing some investigation into IES’s VE-Ware. 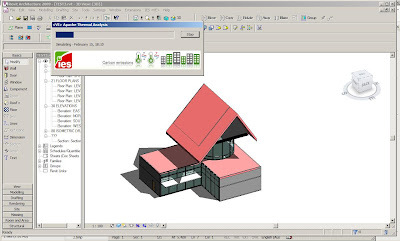 This is a free plug-in for Revit Architecture. It works on Revit Arch 2008 and 2009. 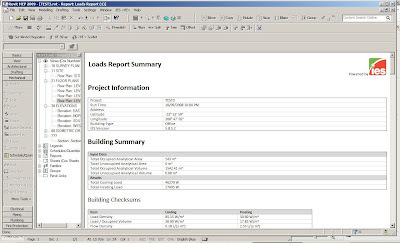 Due to the big improvements in Revit 2009 on “Rooms” over 2008 the plug-in works a lot better with the latest version. Before using VE-Ware your project file will need to be on the C drive and you will need to have access to the internet. 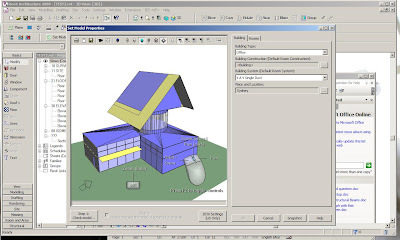 I highly recommend you read “building performance analysis using revit.pdf” which is an Autodesk paper on how to prepare a Revit Architecture model for IES. After going through the basic items VE-Ware will give you a report like the following. Really it’s very basic. There is a way however we can get even more information out of the model. 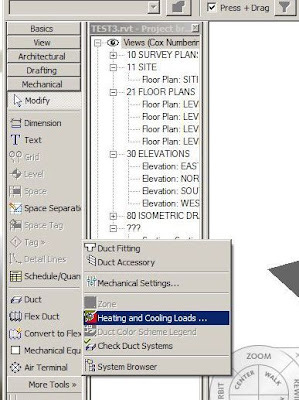 Everyone has access to down loading the demo version of Revit MEP. It has an IES VE built into in under the Mechanical Tab. In MEP, IES VE uses spaces ranter than rooms. 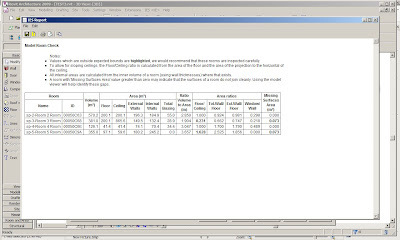 So you will need to generate the spaces for your model. It’s worth looking at the properties of spaces. It’s amazing how much more properties they have which will add to the calculations. If you then run the simulation you will get a very detailed report. Which you can copy and past into Microsoft Excel. This is just a tinny, tinny portion of the report. I will certainly inform you a lot better than the VE-Ware report. The issue with this is of course every time you want to do this; you need to recreate the spaces every time you open the file up in MEP. 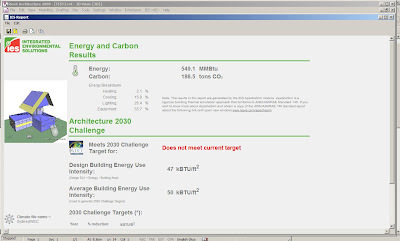 I would hope to think that Autodesk would put this extended version of IES VE in Revit Architecture. It is definitely still worth having VE-Ware on your Revit Architecture as you can use it to help in setup before you open it up in MEP.